Margaret E. Schotte’s “enjoyable and enlightening” comparative study focuses on early modern navigators and their contributions to modern science. 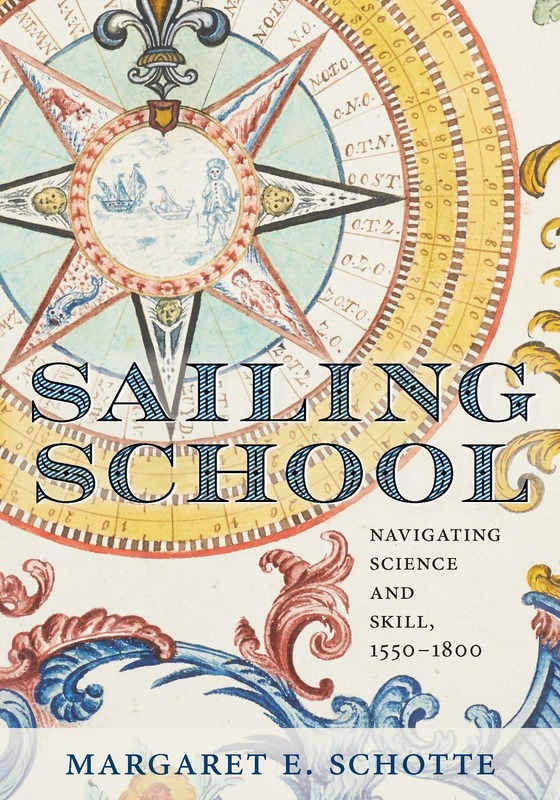 Sailing School investigates how early modern sailors developed mathematical and technical expertise in the age of exploration and the print revolution. Schotte’s monograph draws upon hundreds of dog-eared textbooks and salt-stained student manuscripts to recreate the experience of learning to sail, a complex apprenticeship that took place not only on board ship but in small classrooms in Europe’s port communities. Sailing School brings together the eccentric teachers, inventive entrepreneurs, ambitious politicos and a host of anonymous sailors to give us a new picture of what it meant to be an expert navigator at a time when knowledge of the natural world was undergoing dramatic shifts–and how these experts in turn contributed to the development of scientific practice in their local communities and beyond. Q: Where can I hear you talk about the book? A: Book talks are being scheduled for the Netherlands (July 2019), the Toronto area (fall 2019), and the UK (April 2020). Stay tuned for more details. Available July 30, 2019. Preorder: Amazon or JHUP (20% discount w code HTWN) or ask your local bookstore to place an order. This research was supported by the Social Sciences and Humanities Research Council, the Princeton Institute for International and Regional Studies, and the John Carter Brown Library Fellows Programme. Publication costs have been generously underwritten by the Barr Ferree Foundation (Art and Architecture Dept., Princeton University) and a SSHRC Research Opportunity grant.